VATICAN CITY (CNS) — Everyone who goes to Mass has the right to hear the word of God in all its fullness, which means it must be read well and explained well with “fervor,” Pope Francis said. People have the right to hear God’s word in a way that “knocks at the heart and changes hearts,” he said at his weekly general audience in St. Peter’s Square Feb. 14. 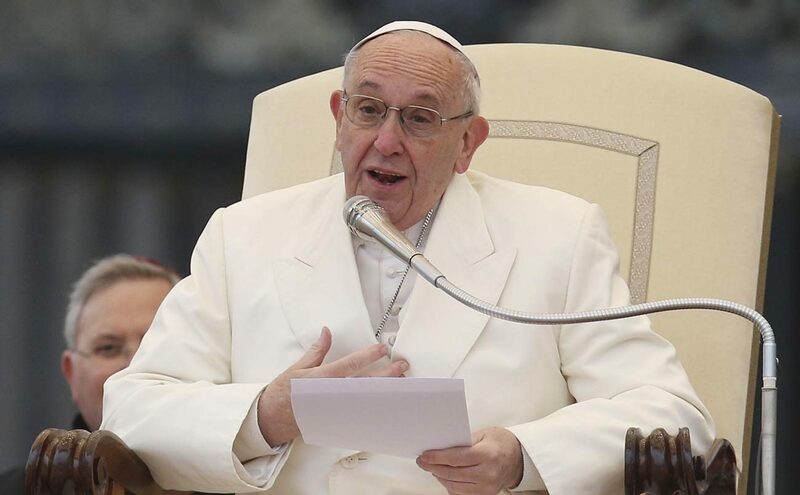 The pope continued his series of audience talks on the Mass, underlining the importance of receiving “abundantly from the treasury of God’s word” present in the Mass readings and the homily. If the word is not “preached with fervor,” that, too, represents depriving the faithful of their spiritual right to receive the word, he added. After a period of silence, he said, the whole assembly comes together in reciting the creed, which shows the response of the community to what they have heard and received. “There is a vital connection between listening and faith. They are united,” he said. “Faith, in fact, does not come from the imagination of human minds,” but comes from listening to Christ’s word, he said. “Faith is nourished then by listening and leads to the sacrament” of the Eucharist. The creed is followed by the prayers of the faithful, formally called the “universal prayer” because “it embraces the needs of the church and the world,” he said. Prayers are offered for the church, for those who govern, for those in need, for all of humanity and for the salvation of the entire world, the pope said. People must remember “what the Lord Jesus told us: ‘If you remain in me and my words remain in you, ask for whatever you want and it will be done for you.’ But we don’t believe this because we have little faith,” the pope said. The assembly at Mass must use the moment to ask for difficult or really important things because for those who truly believe, it will be done in one way or another, he said. “Everything is possible to one who has faith,” the pope said, citing Jesus’ words to the father of a boy who had spent his whole childhood possessed by an evil spirit. “We, too, can tell the Lord, ‘I believe but help my unbelief,'” he added. The assembly must offer prayers and give voice to “concrete needs of the church community and the world” and avoid relying on formulaic or boilerplate and “short-sighted” requests, he said. Worldy pretensions and selfish requests, the pope added, fail to reach heaven and will go unheard.